17% of homes and businesses in the UK rural areas are unable to access decent broadband (at least 10 Mbps). And only 18% of rural premises have access to a 4G signal. The UK Government has announced that homes and businesses will have a legal right; to high-speed broadband of at least 10 Mbps by 2020. Ofcom, the UK’s communications regulator, says that 10 Mbps is the minimum speed needed to meet the requirements of an average family. The Department for Digital, Culture, Media, and Sport has plans for that to happen. 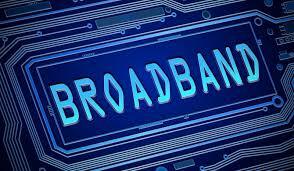 They will set out the framework for a legal right to broadband in secondary legislation early next year. Ofcom has previously noted that more than 1 million homes in the UK are unable to access sufficiently fast enough internet. To do things like watch Netflix or YouTube videos. While the target speed is 10 Mbps, the UK Government notes that that minimum speed can be increased over time as requirements change.